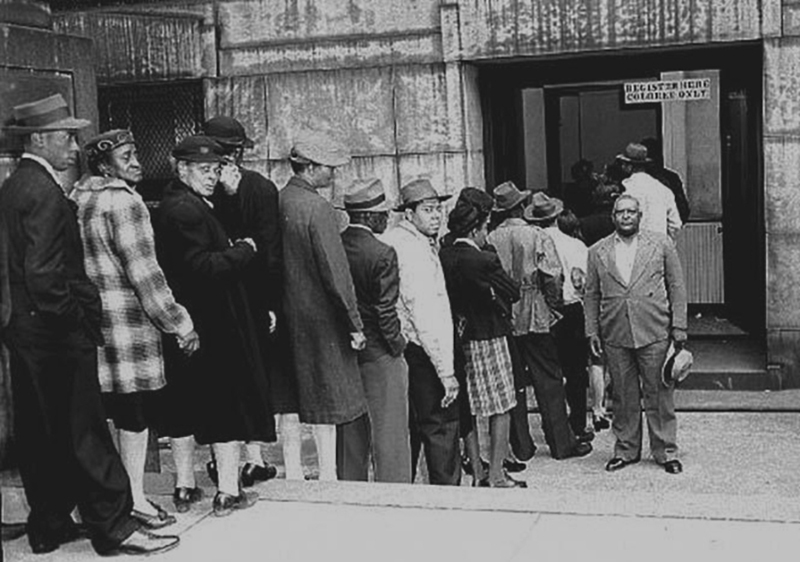 Residents of Georgia wait to enter a “colored only” voter registration facility in 1946. Courtesy of Georgia State University Library Special Collections & Archives. Seventy years ago, in 1946, the Fifth District Court of Appeals upheld a ruling that declared the whites-only Democratic primary in Georgia unconstitutional; the previous year, the state had eliminated the poll tax for voter registration. Within the next two months the Atlanta Urban League worked to register over 14,000 black voters, and African American voters were largely responsible for electing Helen Douglas Mankin to the House of Representatives—the first woman elected to Congress from Georgia. Mocked by the governor for her courting of black voters, Mankin responded, “I’m proud of every one of those votes and I hope I’ll get them again.” Unfortunately, their victory was short-lived; the governor worked with his political machine and a white supremacist group called the Columbians to insure her defeat in the next election. The end of the white primary in Georgia, as well as Mankin’s brief tenure in Congress, was made possible by a case argued two years earlier by up-and-coming NAACP lawyer Thurgood Marshall before the U.S. Supreme Court. In Smith v. Allwright the court ruled 8–1 that the exclusion of African Americans from voting in the Texas Democratic primary was a violation of the Fifteenth Amendment. But, in response to these and other postwar challenges to white control of primaries and elections across the South, various state and local governments reached for an old tool of voter suppression: the literacy test. Jack H. Pollack, a free-lance journalist from Philadelphia, investigated for The American Mercury some of the more outlandish examples of tests used to keep African Americans from voting, ranging from memorization of the Constitution (including the correct punctuation) to the translation of common—and uncommon—Latin phrases. Needless to say, the use of the exams was nothing more than a ploy, since whether a prospective voter “passed” or (nearly always) did not pass was up to the entirely subjective opinion of the test administrators, who themselves usually knew virtually nothing about the material they were allegedly testing. The Civil Rights Movement Veterans website has posted a number of typical examples of voter registration materials required of African American citizens in several states, and we present Pollack’s article “Literacy Tests: Southern Style” here as our Story of the Week selection. Note: The second page of Pollack’s story mentions the Bilbo hearings. Following the 1946 Democratic primary in Mississippi a group of black voters petitioned the Senate, charging that Senator Theodore G. Bilbo (1877–1947) had incited racial violence during his campaign in an effort to intimidate potential African American voters. In December 1946 a Senate select committee held four days of hearings in Jackson and heard testimony from more than one hundred witnesses regarding Mississippi registration and voting procedures. The majority of the committee recommended in January 1947 that Bilbo should be allowed to take his seat, but the minority issued a report accusing him of having violated the Constitution and federal law during his campaign. 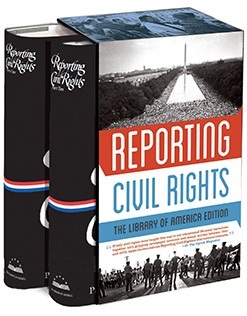 Since the Civil War most Southern states, at one time or another, have used economic pressures, white primaries, poll taxes, “grandfather clauses,” intimidation and even outright violence to keep the ballot from Negroes. . . . If you don't see the full selection below, click here (PDF) or click here (Google Docs) to read it—free!